Excuse me, Mr Bat. ……….WATCH: Bird uses ……….. Excuse me, Mr Bat. You’ve got a huge parasitic fly on your face. 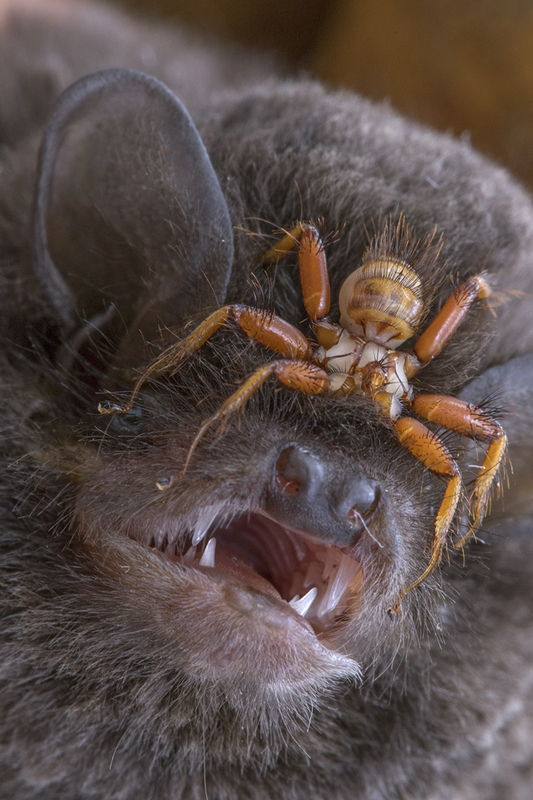 When entomologist and renowned photographer Piotr Naskrecki posted images of long-winged bats plagued by facehuggers recently, he caused a bit of a stir. At first glance, the strange creatures look like spiders or ticks, but they’re actually a type of wingless fly found exclusively on bats. Naskrecki made the discovery while working on a biodiversity survey in Mozambique’s Gorongosa National Park, and when he took to Facebook to share his find, debate and hilarity ensued. “The photo was reported for depicting ‘graphic violence’, and of course there were accusations of photoshopping the whole thing,” he says. The flies (Penicillidia sp), however, are both very real and very interesting. The ancestor of Penicillidia flies probably looked something like modern tsetse flies, which also feed on blood. 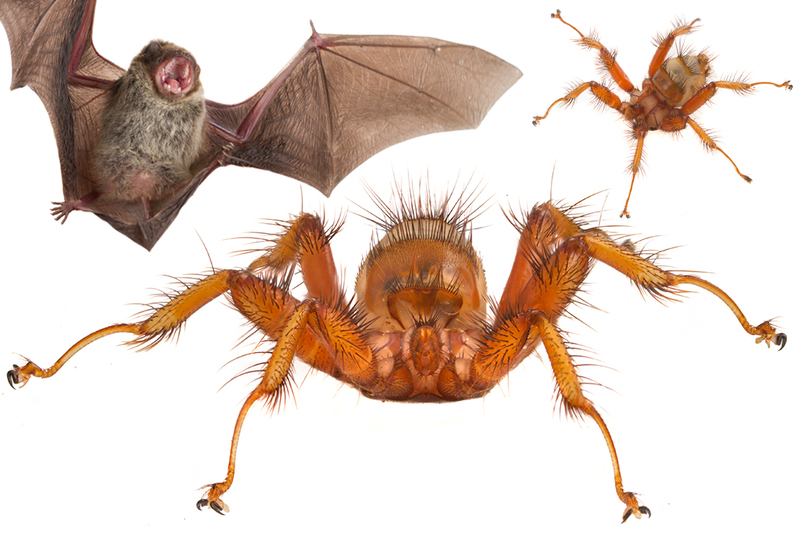 But after millions of years of co-evolution with their furry hosts, bat flies have become highly specialised parasites. For starters, their bodies became flattened and very hard, making it almost impossible for their hosts to squash them. Special “claws” at the end of each foot and hairs on the legs make it extremely difficult to dislodge them from fur. 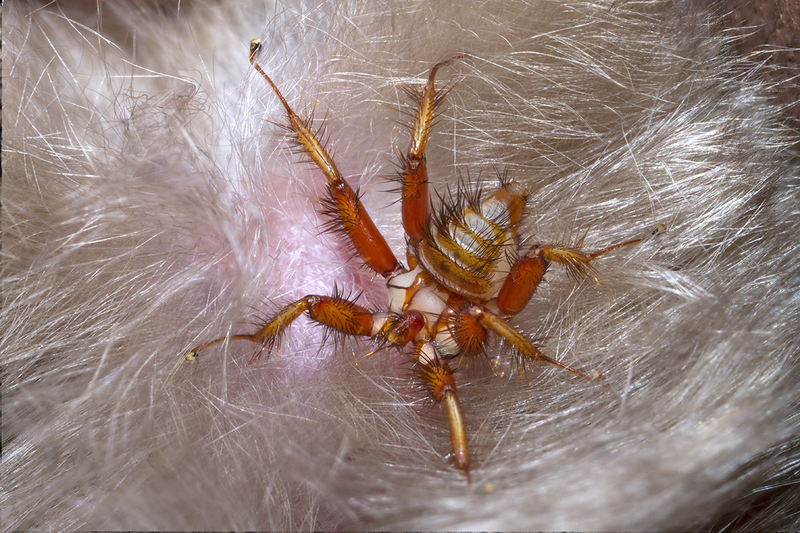 “These insects know the value of a good host and once they land on the furry back of a bat, they never leave it again,” explains Naskrecki. 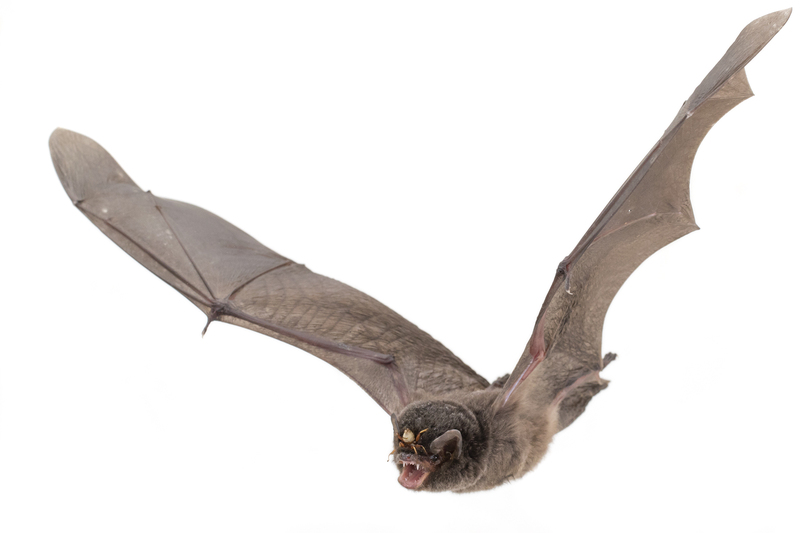 In fact, because the parasites can’t survive for very long on their own, the only time a female bat fly will leave its host is when the time comes to drop her larva off in a safe place – usually the wall of the bat’s cave roost. Then, she’ll quickly rush back, guided by the smell and warmth of her host. For more amazing wildlife photos, stories and info, check out Naskrecki’s blog, The Smaller Majority. 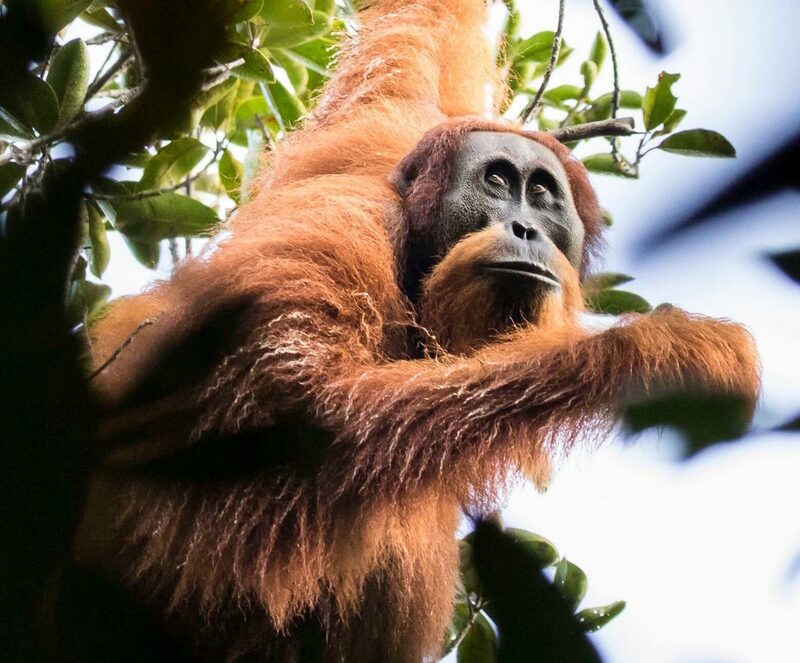 The plan to build a massive hydropower dam in Sumatra as part of China’s immense Belt and Road Initiativethreatens the habitat of the rarest ape in the world, which has only 800 remaining members. In becoming a lethal speedster – the fastest land animal on the planet – specialised for the hunting of small antelope, the cheetah has sacrificed the brawn of its fellow big cats for a lean, light, stretched-out build. Across its grassland and savannah range in Africa, that means this whippet-framed feline must generally eat fast when it lands a meal, before a more dominant carnivore shows up to steal the spoils. In the Kalahari Desert, one such carnivore is the brown hyena. Last April, photographer Derek Keatsdocumented the cool, calm, and collected manner in which that hulking beast – which looks, in a wonderful way, a bit like a demonic hound – goes about pilfering from the cats. 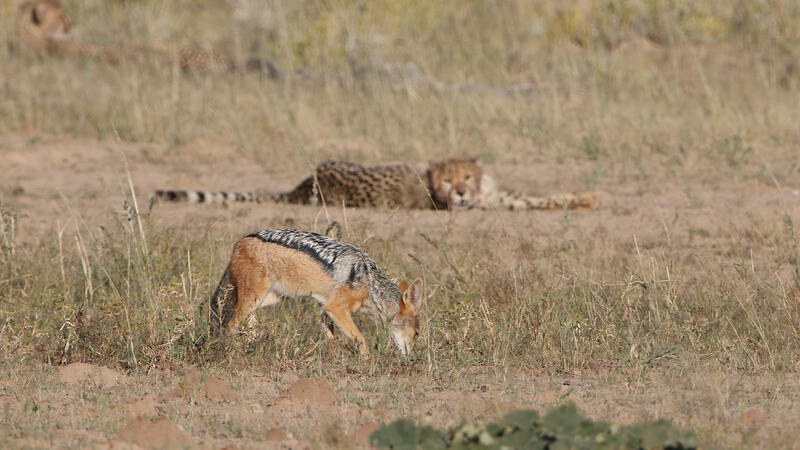 Keats was watching five cheetahs feasting on a freshly killed springbok in the South African portion of the huge Kgalagadi Transfrontier Park shared with Botswana when a brown hyena ambled over. Scavenging unconcernedly alongside the cheetahs, the hyena set about gnawing off the hindquarters of the antelope, which it then wandered away with. 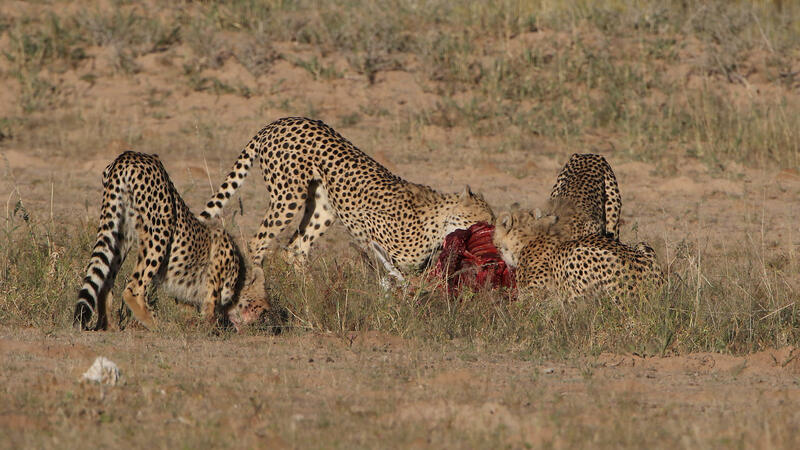 Unfortunately for the cheetah quintet, the hyena wasn’t through: it reappeared not long after, hurrying back to the carcass and then summarily hauling off the rest of it. What Keats saw is typical brown-hyena scavenging behaviour. The animal often shears off a leg from a carcass and caches it several hundred yards away, then returns for more. The brown hyena is the southern counterpart of the striped hyena of North and Northeast Africa, both of them being large, solitary-foraging scavengers; their bigger relative the spotted hyena, which outranks them in the rough-and-tumble carnivore hierarchy of the African bush, is a more accomplished group hunter. The brown hyena prowls the semi-arid wastes of southwestern Africa, including down to the Namib Desert seacoast, where it’s often called the “strandwolf” or “strandloper”, a gleaner of beachwrack and part-time stalker of seal pups. 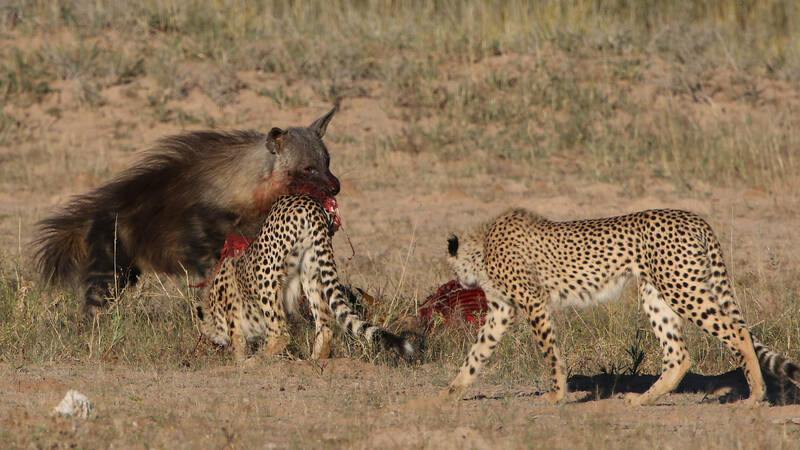 Brown hyenas are happiest when they can adopt the kills of more predatory carnivores, and their heavyset build and powerful jaws mean they can actively displace some of them. 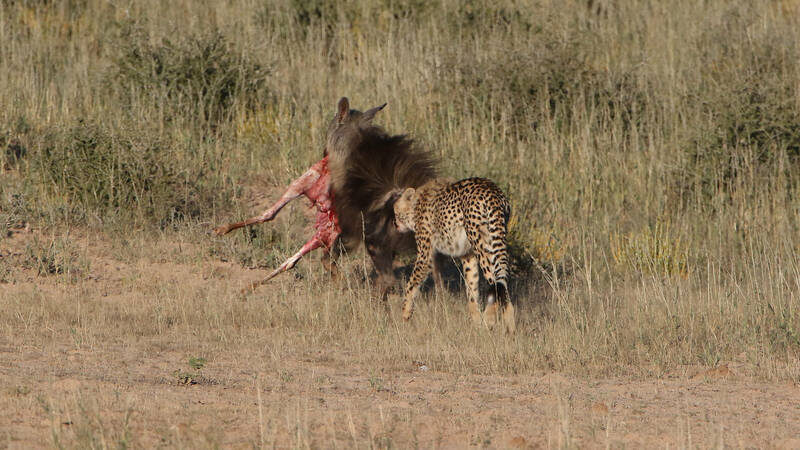 As Keats’s photos attest, even a well-outnumbered brown hyena can rob cheetahs, who are loathe to get in a scrape with the bruiser scavenger. “When a [hyena] sees a cheetah it often runs in its loping gait toward the cat to investigate, apparently to see if it has made a kill,” wrote the authors of a 1978 study on Central Kalahari brown hyenas. Lions are another matter: brown hyenas take pains to avoid them and wait awhile after they’ve left a carcass before coming in to scavenge. 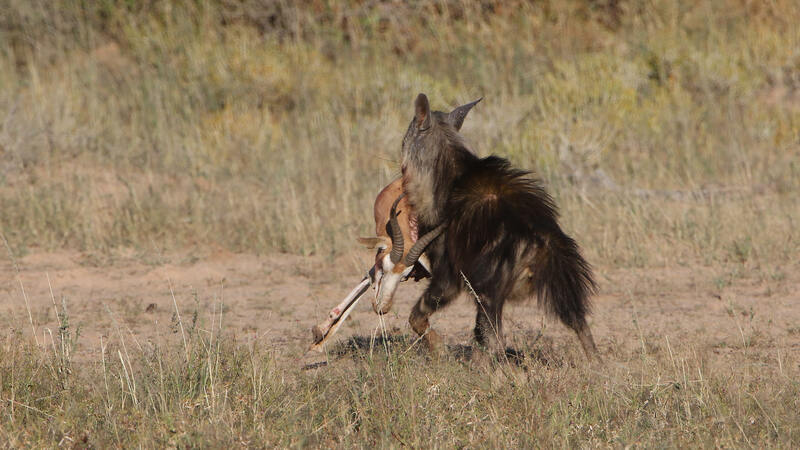 Spotted hyenas and African wild dogs also usually dominate brown hyenas. 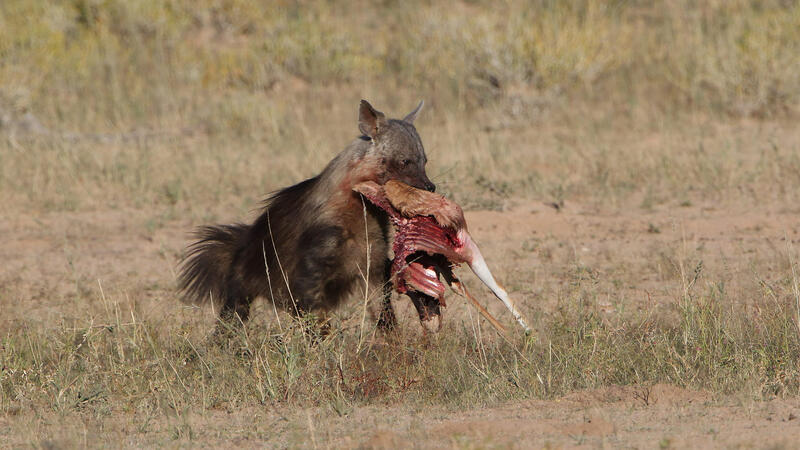 Those two species, though, are uncommon in the latter’s heartland, and lions there tend to be seasonal and localised forces – so in the drylands of southwestern Africa, the brown hyena is effectively top dog most of the time. 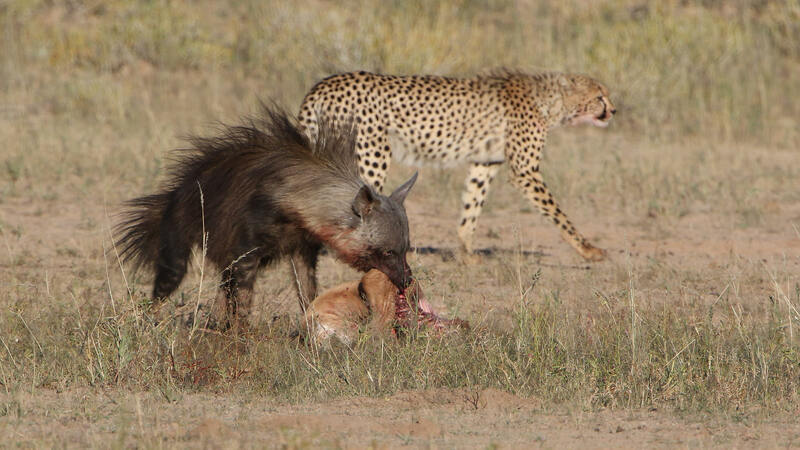 It may be easier to ooh and ah over the cheetah’s high-speed chases, but we should also admire the brown hyena’s resourceful resilience in the lean Kalahari dune scrub. It covers a lot of ground in a given day (actually night – it’s primarily nocturnal), angling around scenting the air for intriguing aromas. When ungulates and their predators are plentiful during the wet season, the hyena focuses as much as it can on scavenging. In the dry season, when herds are gone or scattered, it omnivorously supplements scarcer carrion with wild melons, insects, and any small game it can flush and run down. 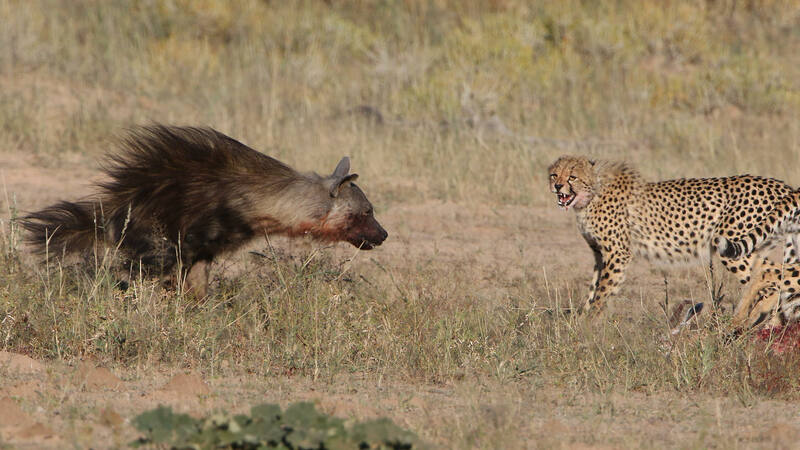 And while the brown hyena usually forages alone, it’s not exactly an antisocial character. Resident males and females share large, overlapping clan ranges, crossing paths amiably along travel circuits and over much-prized remains of large mammals and raising cubs communally; nomadic males, meanwhile, roam around mating with clan ladies. The bear burglar broke into a home in Northstar on Thursday (May 3), climbed onto the kitchen counter and began casually scoffing down fruit and bread – unperturbed by an officer banging on a nearby window. The sheriffs eventually managed to chase the bear off, but not before it had helped itself to a hearty meal and made a mess of the kitchen. Black bears hibernate for up to eight months of the year (yes, there is still some debate about whether or not they are true hibernators, but most experts now agree that their lengthy winter chill-out period can safely be called hibernation). During this time, they don’t eat, drink, or do that thing that bears are supposed to do in the woods, and their heart rate can drop to about eight beats per minute. When they finally emerge from that lengthy slumber, they’ll usually start venturing out to find food (and people’s homes are an easy target). Bears can be problematic in the Tahoe Basin area, often lured out of the Sierra wilderness by the prospect of a calorie-rich meal discarded in a residential trashcan. More recently, as local homeowners have become more diligent about securing garbage in bear-proof bins or stashing it in the garage away from prying claws, the bears in the area have honed their house-burgling skills. “The ease (with which) they can get in … shows that it’s a learned pattern, and it’s taught generationally,” Jack Robb, deputy director of the Nevada Department of Wildlife, told the Sacramento Bee earlier this year. 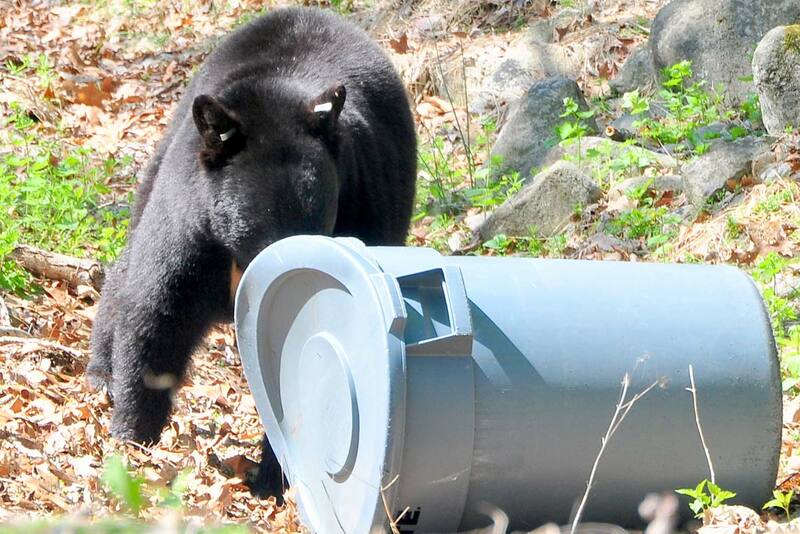 Trash is harder to find, but the local bears are up for the challenge. Bear break-ins are become more commonplace in Tahoe often resulting in extensive damage to property (and occasionally to residents). The Bear League, a local non-profit made up of volunteers and community members, respond to “bear calls” as well as offering residents and tourists advice on how best to keep the bears at bay, but human-wildlife conflict is rarely an uncomplicated issue. Many residents accuse the local bear advocates of abusing their unsanctioned role as saviours of Tahoe’s bears, and would like to see stricter measures enforced when animals break into people’s homes. Just across the state border, Nevada wildlife officials have a zero-tolerance policy when in comes to bear break-ins: if a bear is believed to be a threat, it will be terminated. In California, wildlife officers are far more reluctant to kill a “problem bear”. If a bear becomes a threat, residents can apply for a depredation permit to have it trapped (provided they have first taken the necessary steps to keep the bear off their property). According to some residents, local advocacy groups harass those who apply for permits, and it’s often not worth the trouble. Steve Torres, a Department of Fish and Wildlife supervisor who oversees the agency’s wildlife conflict programs, claims that an absence of resources in the Tahoe area means that the advocacy groups have a bit more leeway to take the reins. “We’re kind of in a difficult situation because if the homeowners don’t request a depredation permit, then our options are limited. There’s a lot of bears running around in there, and we can’t monitor all of them,” he said. While this bear burglary seemed to pose little real threat to the homeowners, bears in the area are becoming more bold and with residents, wildlife agencies, and advocacy groups at loggerheads about the best solution, the stage seems set for more bear encounters in the future. Imagine studying animals without seeing them. Does that sound ludicrous? To people like us, who first got interested in biology because we love animals and enjoy studying them, yes, it sounds like a poor deal. Yet, if you think about what forensic investigators do when they seek DNA evidence at a crime scene, or what doctors do when they detect a pathogen in a patient’s blood, it is exactly that: they detect life forms without seeing them. DNA is life’s blue print. It is present in virtually every organism on Earth, and we usually study it by extracting it from a piece of tissue or a blood sample. But DNA, really, is everywhere: animals shed it constantly, when they scratch themselves, when they release urine, eggs, saliva, excrement and, of course, when they die. Every environment, from your bed to the deepest recesses of the oceans, is full of “biological dust”, mostly cellular material, which contains the DNA of the organisms that left it behind. 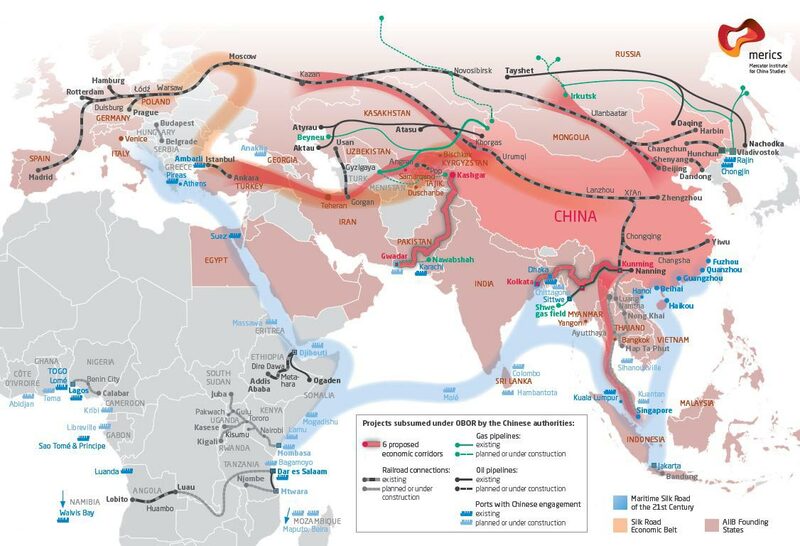 This, we call “environmental DNA”, or eDNA. This is why we thought it would be interesting to see if, just by sampling a few bottles of ocean water (and the DNA fragments therein), we could rapidly map shark presence and distribution, without engaging in wild chases or employing time and resource-intensive shark fishing methods. We were happy to find out that, indeed, this was possible, and that different species could be detected in different geographical regions, although the areas that had been more affected by humans would show scant presence of sharks. 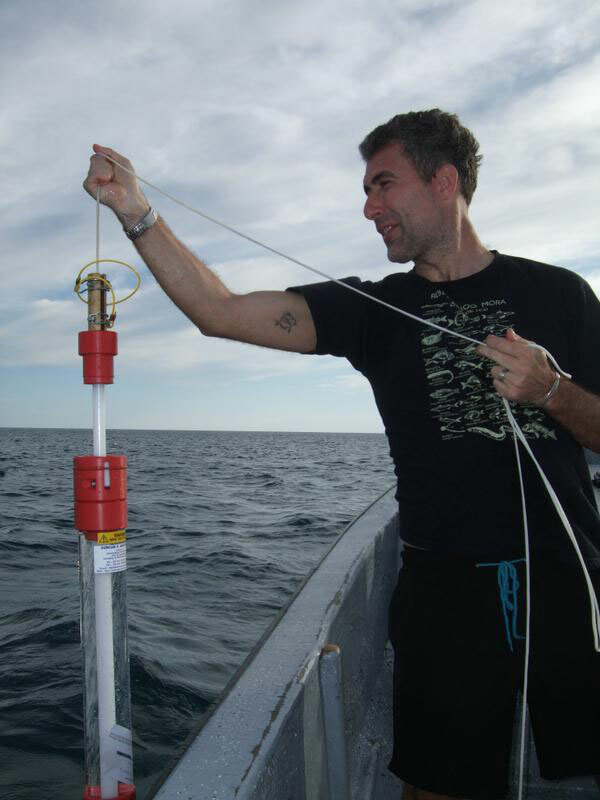 But the true measure of the efficiency of this eDNA approach to shark monitoring would only be revealed when contrasted against established, tried-and-tested methodologies, such as scuba-diving visual censuses or baited underwater camera recordings. 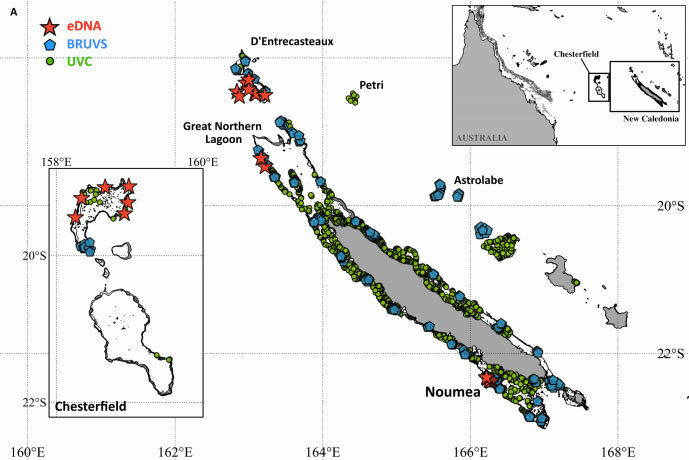 This was the focus of our most recent study, conducted with colleagues based in the South Pacific archipelago of New Caledonia, France, Australia and the US, and now published in the journal Science Advances. The results were very exciting: 22 water samples collected over a few weeks detected more sharks than hundreds of baited underwater camera observations over two years, and thousands of scuba dives over a period of decades. 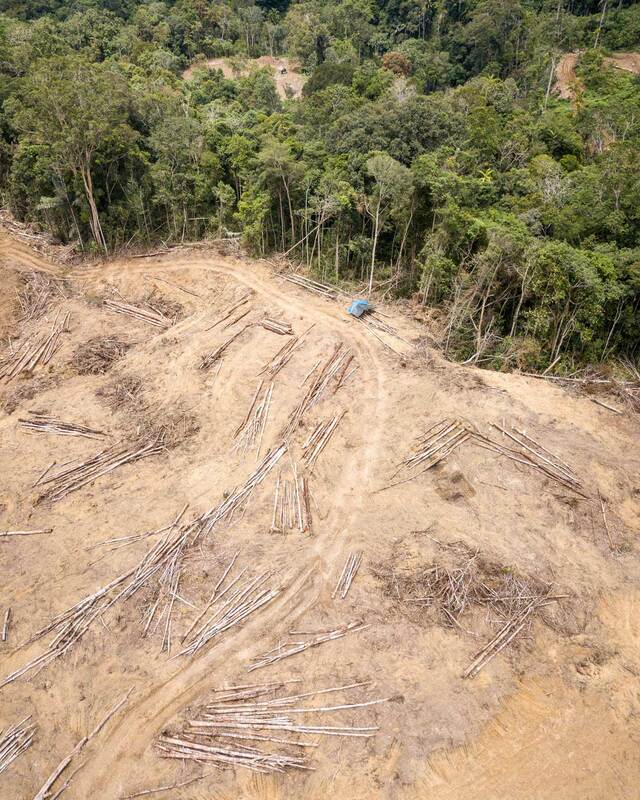 Nearly half of the species detected through environmental DNA could not be found at all using traditional methods. And while eDNA could detect the presence of some sharks in about 90% of the samples, underwater cameras could only manage just over 50%, and scuba diving around 15%. The “DNA probes” currently available will have to become longer, as short sequences may sometimes fail to distinguish closely related species. For instance, the blacktip shark shared some identical sequences with the grey reef shark along the DNA stretch used in our study. 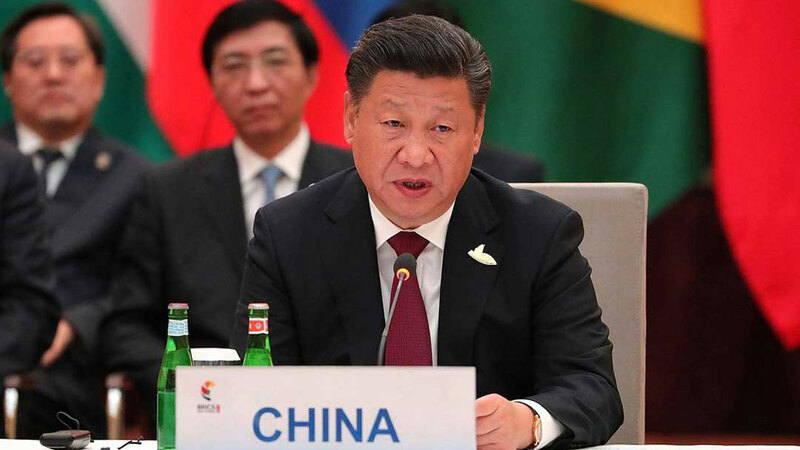 Nevertheless, all the initial indications suggest that this approach can get us a step closer to understanding and better managing the largest ecosystem on Earth. In a clip uploaded to Drexler’s Facebook page, a side-stepping crane determinedly ushers a gator across a section of the golf course – the trundling reptile paying little heed to the bird’s bravado. The crane’s flared wings show a typical sandhill response to a potential terrestrial predator. The same tactic was used by a different sandhill crane on golf-course gator last year, as well as by a trio of cranes that managed to send a much-smaller threat running for cover. The outstretched-wing dance can also be accompanied by hissing and ultimately a kick at the antagonist, though this crane opted for a safer sideways shuffle. According to Drexler, the sandhill was protecting a nearby chick – something that these birds are known to do with gusto. There are records of cranes using the same intimidating wingspread routine to drive off black bears that wander too close to a nest. Alligators will sometimes prey on cranes, though adult birds are usually fleet and alert enough to avoid attack. When they aren’t ambling around on the putting green, gators are usually prowling deeper waterways, while cranes typically forage in wet meadows and nest in shallow marshes. If water levels rise high enough, though, gators may gain access to crane nesting grounds, and they have been known to eat both fledglings and eggs. This gator, however, seemed disinterested in the crane’s defensive dance – it’s possible that the reptile had other matters to attend to. Alligators begin their courtship ritual in early April and mating kicks off in May when sexually mature animals are likely to be more active. Sightings of gators are already on the rise in Florida and Texas with reptiles turning up on residential porches, at busy intersections, and even at the occasional hotel.